In perfect alignment with the countries myths and legends, India embodies within its very veins a multitude of thriving artisans and craftsmen. Rugs, carpets and durries that are born of this country are deeply rooted in its rich cultural heritage and speak of times long gone as if they happened just yesterday; of gods and beasts like they still live amongst us. The best carpets in India originate from the handicrafts that were developed during the Mughal era, ingrained with Persian carpet traditions from Central Asia. 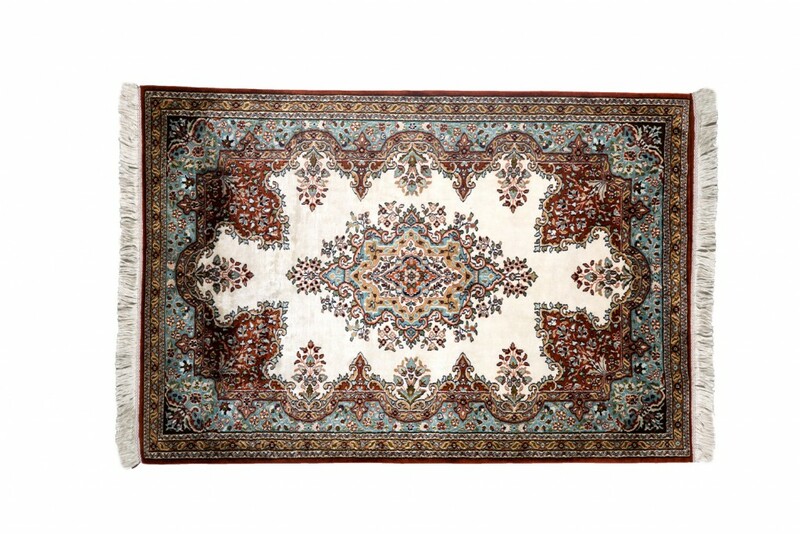 The part that is most fascinating though is the fact that these carpets – the most famous being high density hand knotted ones – utilize distinctly Indian motifs, ideas and themes to exhibit a Persian style of rug making. Highly symmetrical and elaborate patterns derived from Mughal and Mongolian architecture (especially screens, windows and inlayed gems) are an integral part of the designs of the best carpets in India, but these borrowed elements are used in rhythmic congruence with Indian motifs. The finest and best carpets in India are woven, tufted and knotted with delicate and refined wool, designed to make you feel like you’re walking on clouds of velvet. In all of the orient, Indian carpets are considered the most valuable; each square inch of ornate material fastened with as many as two thousand perfected minute knots of contrasting colors. There is no doubt about it, the high density hand knotted carpets are the best carpets in India – they are durable, stunning and exotic. The dispositional harmony in these patterns draws attention to it when it’s the part of an interior of a room, yet blends in and accents its surroundings with sophistication. What’s more, you can always find one that suits the style and aura of your house – owing to the introduction of current designs along with the imperial antiquity. Ornate and lavish surfaces for living areas with drawn out panels of regal and stately hunting scenes in straight contrast with luxurious expanses of color and fluff for the spaces that are privy to you – everything you have ever dreamt of in carpeted flooring can be yours. 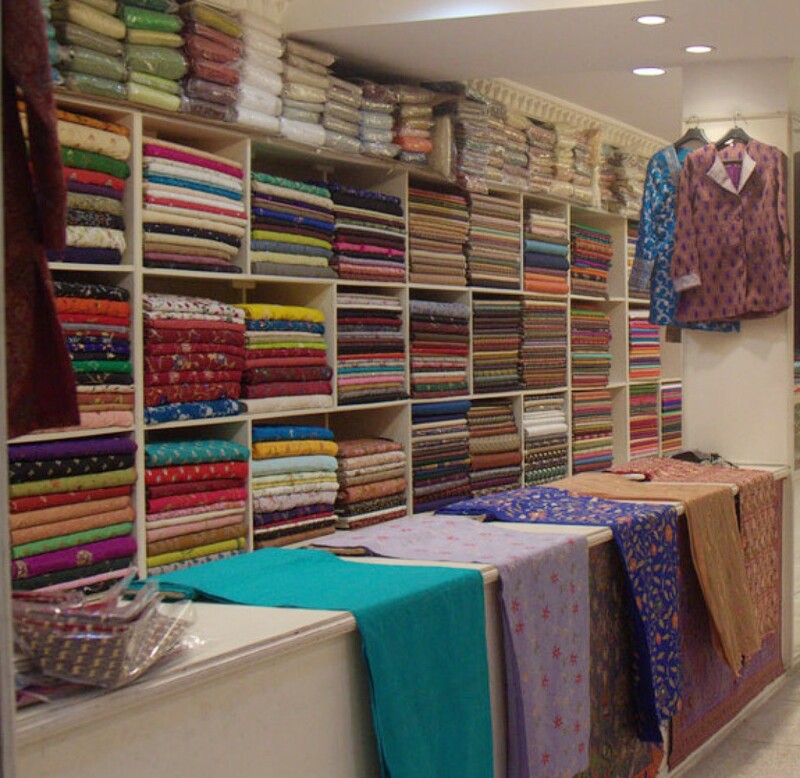 A part of the Shree Textile and Carpet Mahal based in Jaipur that cater exclusively to tourists, we bring to you Carpetmahal.com, the ideal place to fulfill all your carpeting needs, whims and fancies! Hand woven, knotted or tufted, the best carpets in India will be delivered right to your doorstep. Making it even better, you have the opportunity to be fashionable, sentimental and personal. While it has been established that each carpet narrates its own tale, even from far away we make an effort to make you a part of the process as far as we can. Adding to the flexibility of the use of each carpet is the fact that you can design your own! Choose the size, style and shape and your rug will be custom made to order. High thread counts, printed silks, woolen tufts that feel like the softest satin – nothing is better than a royal Indian carpet to command the room and make an impact. Nothing can compare to the feeling of your feet touching the ground and falling gently on the hand-woven masterpiece, each thread containing within it just a little bit of imperial history. 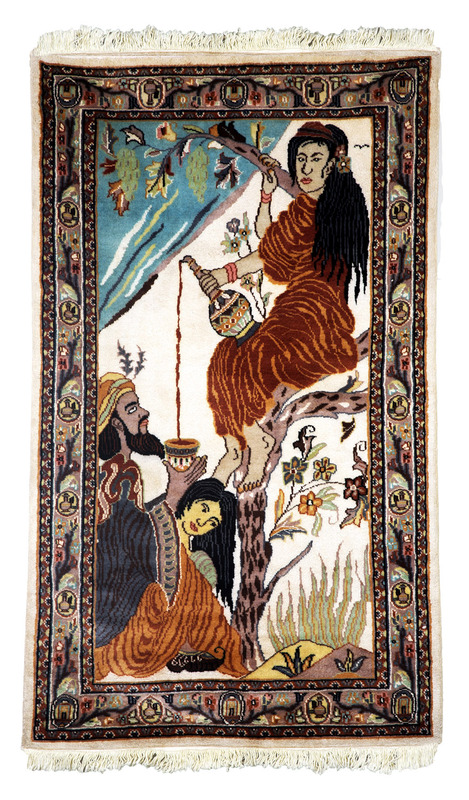 Introduced in the early 16th Century, the story of carpets in India starts with the Mughals. Being a necessity in geographically colder regions, the art of weaving and knotting to create intricately decorated surfaces has now become an integral part of the handicraft tradition of this subcontinent. Every time you glance at the hues and complexity of the fabric, a thought will be lent to the artisans brought from Persia who held on to their style under the patronage of the Mughal court, gradually moving away from the highly zoomorphic forms and arabesque patterns towards more Indian motifs with dominating linearity. A plethora of color and intricate designs, carpets in India have left a mark in the home décor sector around the world. Handicrafts are an exemplification of India’s cultural diversity; each carpet, rug or durrie having a unique characteristic and telling a story so mesmerizing of its past that none can deny its elegance. If the beauty isn’t enough for you, there is little debate that carpets in India are also the epitome of skill and workmanship – here in Carpet Mahal you will be spellbound not only by the visual labyrinth but also by the heights of technical mastery that few can perfect. 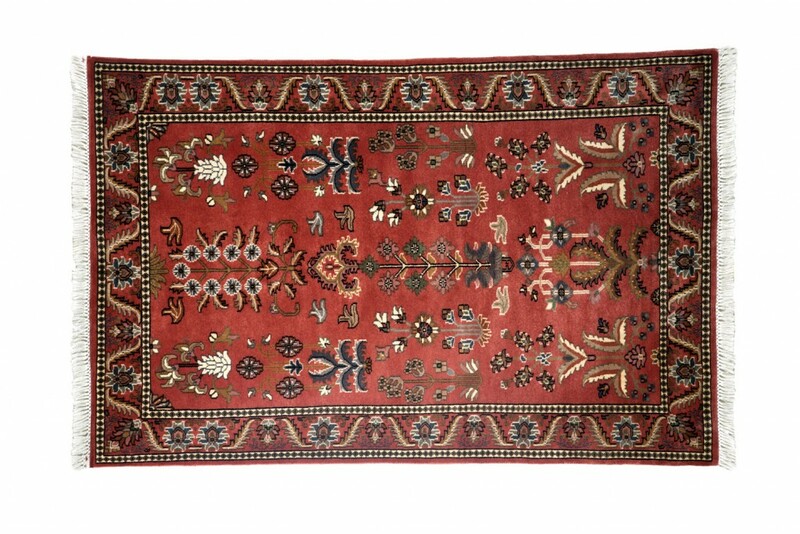 The life of a carpet begins as just strings – painstakingly and skillfully woven into knots and tufts to create the elaborate surface we revere, and for those of you who prefer to steer clear off chemicals, the bold reds and greens that brighten the room are stained into the fabric carefully with natural dyes. While it is near impossible to fully explore the types of carpets in India and do each technique justice, broadly speaking there is the age old hand knotted and tufted carpets(requiring immense skill and patience as one could take months to weave), reversible durries, and pure silk weaves. 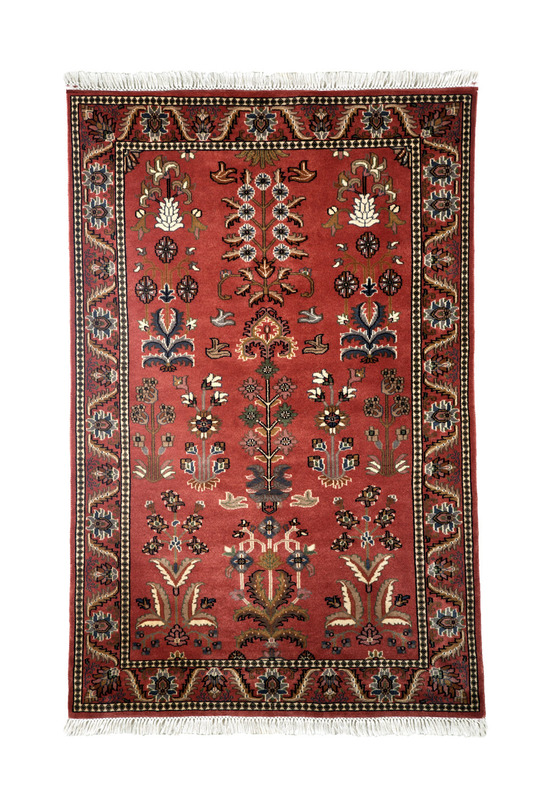 A hand knotted weave is the most revered, being sturdy yet intricate as the surface is composed of tightly fastened tethers; a skilled workman weaves a mere one square foot in three full working days of eight hours each. Generic weaves with elaborate work are ideal to add that touch of royalty, but the history of a carpet doesn’t end just there. 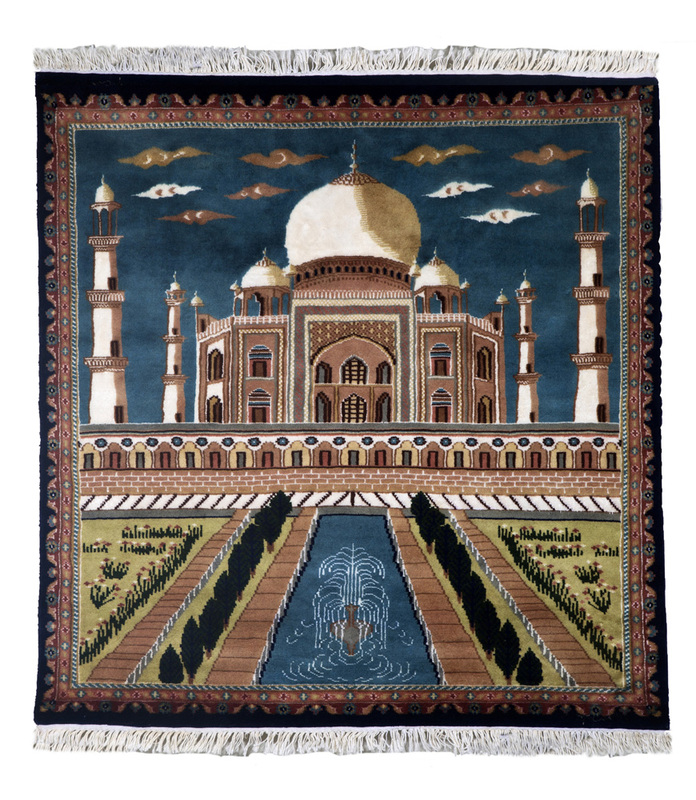 Elements of narration, mythology and ancient history have woven themselves into the fine drapery, giving the carpets in India yet another dimension. For those of you unfamiliar with such narratives, each motif of a peacock or a bull or even those graciously spreading branches of a tree are closely linked to sanctity and myths. Yearly 7 million weavers earn their daily bread solely from the booming export markets – this tradition that has been passed down generations from the early 1500’s is a skill that ranks as one of this country’s renowned national treasures. 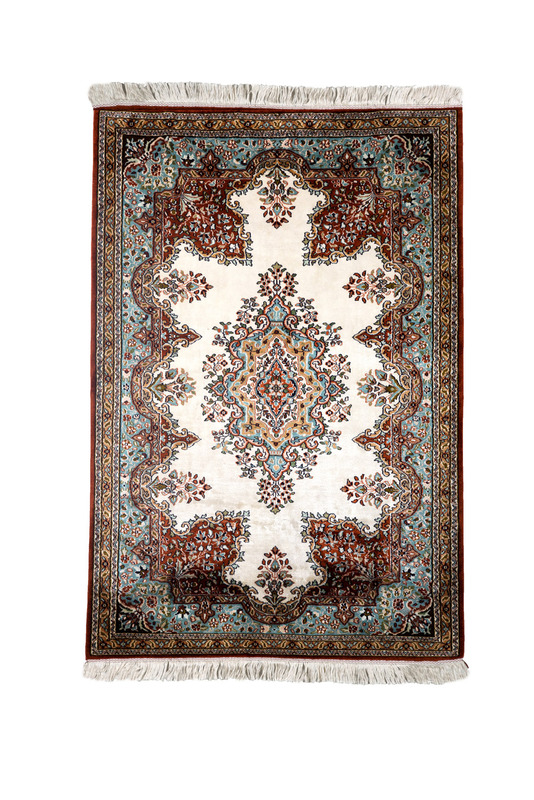 If you are looking for a way to brighten up that pastel living room with bold geometric durries or add a little elaborate and sophisticated style to an otherwise plain interior, carpets from India are a class apart. Online shopping and growing global markets make time-honored carpets accessible to you wherever you may be, and todays designers have assured that carpets tailor-made for you – be it traditional or contemporary in manner – can be bought in just a click!